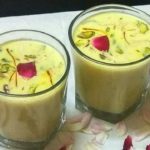 Thandai recipe or Sardai is a cool and refreshing drink created with dry nuts and seasoned with aromatic spices. 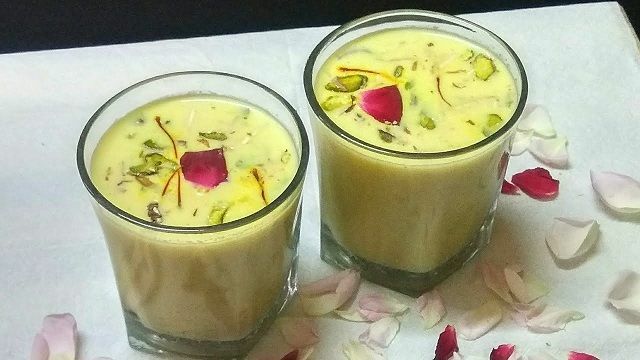 People in north India accustomed to prepare this thandai drink in each Holi festival that acts as a coolant to the body throughout summer heat. In a saucepan take 4 cup water and put it over medium flame to warm up the water (you should not boil the water we just need warm water). Now take 2 bowl and then put 3 cup warm water in first bowl and 1 cup water in second bowl. In first bowl with warm water add the green cardamom seeds, fennel seeds, pistachios, poppy seeds, melon seeds, peppercorns and cashew nut. Mix well then cover it and set aside for 5-6 hour or over night. In second bowl with 1 cup warm water add almond, cover it too and set aside for 5-6 hour or over night. After 5 to 6 Hours remove the almonds from the water blanch it and put in the grinder or blender jar. Strain the water from the mixture in first bowl with the help of strainer. Then transfer mixture from the strainer to the same blender in which you have put blanched almonds. Add 1 table spoon of milk, cover, and blend until the nuts & spices till they are reduced to a smooth fine paste. If you feel difficulty in blending the mixture you can add a little water to it too. You can cover this paste and put in refrigerator if not using immediately. This thandai paste can be stored for 2 day in refrigerator. To prepare thandai take 1.5 full cream milk in a pan and put it on low flame. 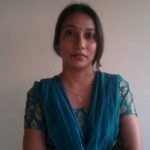 When the milk starts boiling add 1.5 cup sugar to it mix will continuously stirring it so that sugar gets dissolved in milk. When sugar gets dissolved add sprinkle 1 tea spoon saffron over milk again stir well and let it cook for 4-5 minutes. Remove form heat and refrigerate if for chilling. This saffron milk can be stored for 2 day in refrigerator. Take about 4 table spoon of thandai paste in a glass add chilled saffron milk to it. Stir and mix well and sprinkle few drops of rose water. Add some ice cubes in the glass and decorate it dried rose petals and chopped pistachio. Serve immediately.